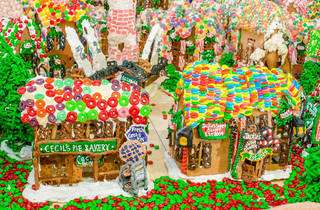 Looking for inspiration to build your own gingerbread house? Don't miss "Gingerbread Lane," a 300-square-foot village made entirely of edible gingerbread (no, you're not invited to try it!) at the New York Hall of Science. 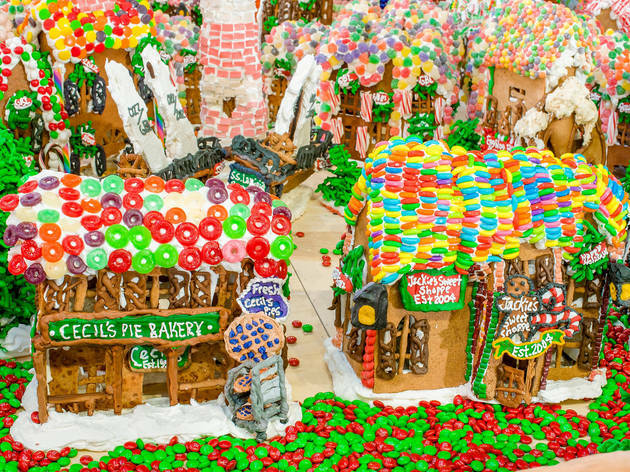 Its 152 gingerbread houses, 65 trees, five train cars and four cable cars are offset by sugar signage, candy trees and an underground candy subway station. New this year is an exhibit showing how the 1.5 ton creation gets built—it took an entire year to develop and complete, and is a contender this year for the Guiness Book Record for largest gingerbread exhibition. All ages.